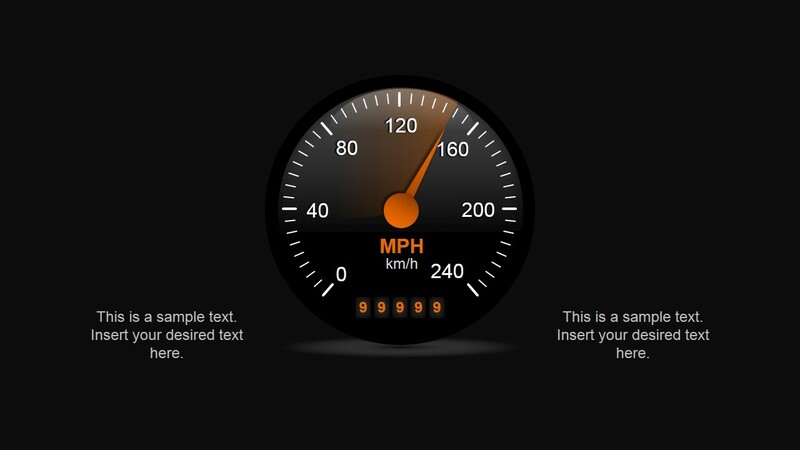 Free Dark Speedometer Shapes for PowerPoint is a presentation design containing speedometer shapes that you can use to make a dashboard in PowerPoint. 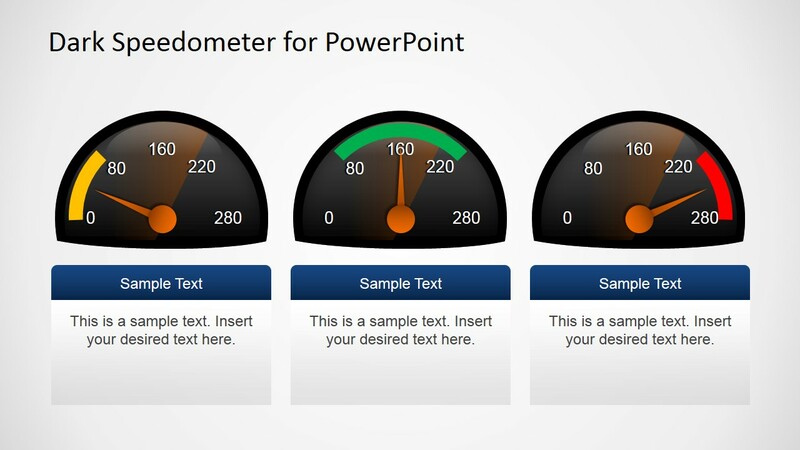 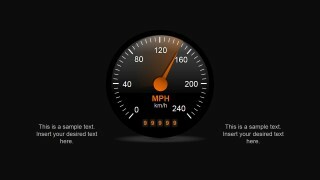 Inside this free sample template for PowerPoint you can find three slides containing speedometer designs with an adjustable needle. 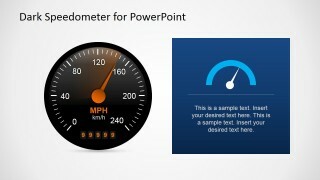 If you want to download other similar shapes you can check our dashboard PowerPoint templates category or download other speedometer illustrations. 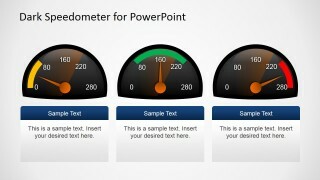 To adjust the needle value, select the needle shape and then rotate it to the desired position.